After graduating from University of Seychelles Dr. Zaveri worked as Bariatric Coordinator with Dr. Mahendra Narwaria of Asian Bariatric and Cosmetics Pvt. LTD, Ahmedabad, India. She did primary consultation in Mumbai & Maharashtra before joining Dr. Luc Lemmens for her externship at Bariatric Centre of Excellence in Belgium. She even worked as a faculty member for General Pathology and Histology at USAIM. Her confidence & belief in her abilities made her work with Fresno Heart & Surgical Hospital at California with renowned surgeons like Dr. Kelvin Higa. She played a major role in Dr Vipul Jain’s one of the projects of Asthma at UCSF-Fresno, California. 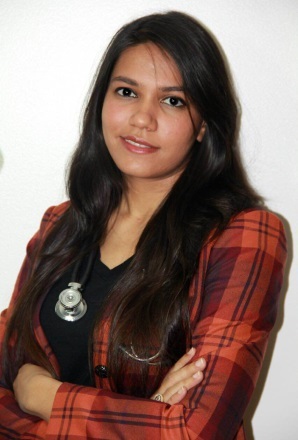 She is currently working as a research coordinator under Dr Daniel Cottam at Bariatric Medicine Institute, Utah. Dr. Zaveri has various grants for co-coordinating clinical trials and research. She has been one of the pioneers in publishing various articles on SIPS/Loop Duodenal Switch surgery, recently gaining lots of popularity in the bariatric world. She has not only displayed her work at various meetings but also given symposium presentation at various obesity meetings. One of Dr. Zaveri’s areas of interest has been creating the model with multivariate analysis that can predict pre-operative weight loss for various bariatric surgeries.